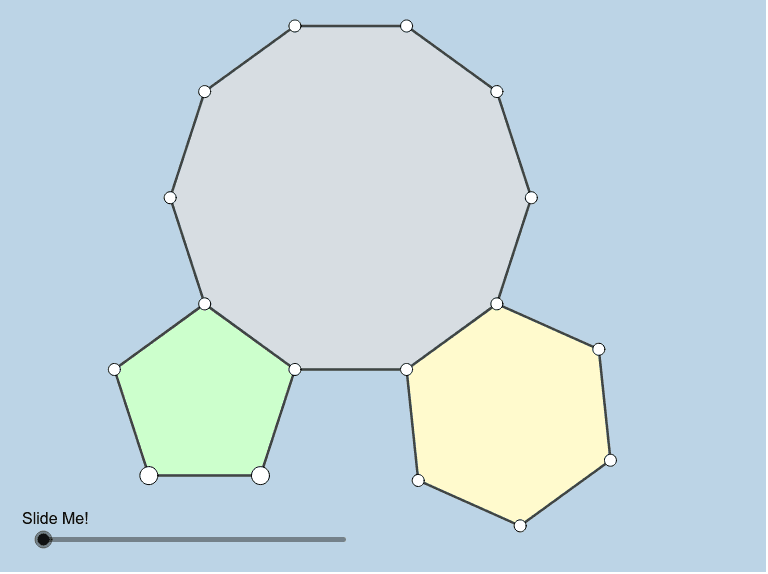 Shown in the applet below are a regular pentagon, regular hexagon, and regular decagon. The 2 LARGE VERTICES of the regular pentagon can be moved anywhere you'd like at any time. How can we formally prove the phenomena dynamically illustrated here?